Updated 9/16/18. Doing Disneyland with adults is a fantastic experience! You will get to feel like a kid at heart while enjoying some of the finer aspects of a vacation at the Disneyland Resort. Visiting the original Magic Kingdom of Disneyland without children can be so fun and will make you feel like a kid again. Here are our top ten items to experience when trying to achieve a successful, adults only Disneyland trip. 10. Adults At Disney Love Their Coffee! Plan your grown-up Disneyland adults only vacation now! The Grand Californian is a sight to behold–especially with the recent complete hotel renovation–and its luxurious Mandara Spa is phenomenal. The full-service spa and salon offers skin treatment, massages, manicures, and pedicures. This relaxing environment is the perfect way to kick off your Disneyland for adults only trip. In fact, you can choose from partial or complete spa treatments from Asian, Indian, Mediterranean, and New World journeys. For instance, you can pamper yourself with the Mandara Coffee Body Polish and Coconut Milk Wrap, or treat yourself to the Exotic Lime and Ginger Salt Glow. Any of these treatments will result in a relaxing, calm experience. The Disneyland Resort offers some delicious and classy restaurant where you can enjoy a wonderful dining experience. Napa Rose is located in the Disney’s Grand Californian Hotel & Spa and has a view of the Disney California Adventure Park. The Napa Rose Wine Pairing Experience is a wonderful way to sample their delectable food and wine offerings. Carthay Circle is in Disney California Adventure Park and has a retro, Hollywood movie feel. Their dinner menu touts some tasteful adult cuisine including entrees such as cedar smoked roast duck breast, holiday prime rib, and sautéed sweet potato gnocchi just to name a few. Steakhouse 55 is in the Disneyland Hotel in a classy, dimly lit setting that includes black and white photos of old Hollywood stars. Here you can enjoy a New York strip steak, filet mignon, cold water lobster tail, and truffled macaroni and cheese. Read our full Disneyland restaurant reviews. Located on Buena Vista Street, the Animation Academy is a hidden gem. This is a perfect Disneyland for adults activity. Every thirty minutes you can pop in and draw a different beloved Disney character under the guidance of a professional Disney artist. Maybe you could even create a special something for your loved one? Even the most unartistic Disney fan can have fun drawing Mickey, Minnie or Stitch in this setting. There are even some perks for adults in Disneyland. For instance, stay late in the parks and you will be sure to see decreased crowds. Disneyland tends to clear out after the last Fantasmic and fireworks show, while Disney California Adventure Park’s crowd thins out after World of Color. You can go on lots of rides with much shorter lines. Bonus tip: go on the popular non-Fast Pass rides, such as Pirate of the Caribbean, during these shows, and you’ll miss a majority of the crowds. If you want to try Disneyland after a conference at the nearby Anaheim Convention Center, there are frequently discount Disneyland tickets for 4 pm and after. Take a few hours away from the parks and enjoy the stunning pools the resort hotels offer. The Disneyland Hotel, Disney’s Grand Californian Hotel & Spa, and Paradise Pier all have gorgeous pool areas where you can rest your feet and relax, or soak in a hot Jacuzzi. For an enjoyable, grown-up twist on the Tiki Room favorite, try Pineapple Dole with rum (!) at the Coffee House at the Disneyland Hotel. This treat does not disappoint! Just across the pool at the Tangaroa Terrace is the best coconut cake you can find. Ice cream is a must when you’re at the parks. You can find delicious scoops and sundaes at Clarabelle’s Hand-Scooped Ice Cream and Ghirardelli® Soda Fountain and Chocolate Shop in Disney California Adventure Park, and Gibson Girl Ice Cream Parlor in Disneyland. There is a ton of fantastic ice cream in Disneyland! If you’re visiting the parks without children, be sure to take advantages of the single rider lines. Several attractions offer single rider lines at a shorter wait than even some of the Fast Pass lines. Disneyland’s Indiana Jones Adventure, Matterhorn Bobsleds, and Splash Mountain offer single rider options. In Disney California Adventure Park, look for this option at Radiator Springs Racers, California Screamin’, Goofy’s Sky School, and Grizzly River Run. Disneyland, Disney California Adventure Park, and the Downtown Disney District all offer some great shopping experiences that cater to adult tastes. Disneyland’s Main Street has several fun stores to browse, such as Disneyana, Emporium, and Crystal Arts. In Disney California Adventure Park you can get some retail therapy at Elias & Co., Julius Katz & Sons, and Oswald’s. The Downtown Disney District is a shopper’s dream that offers interesting stores such as Curl Surf, the Disney Dress Shop, D-Street, Pandora Jewelry, WonderGround Gallery, and of course, World of Disney. There are several places to enjoy a caffeinated beverage. 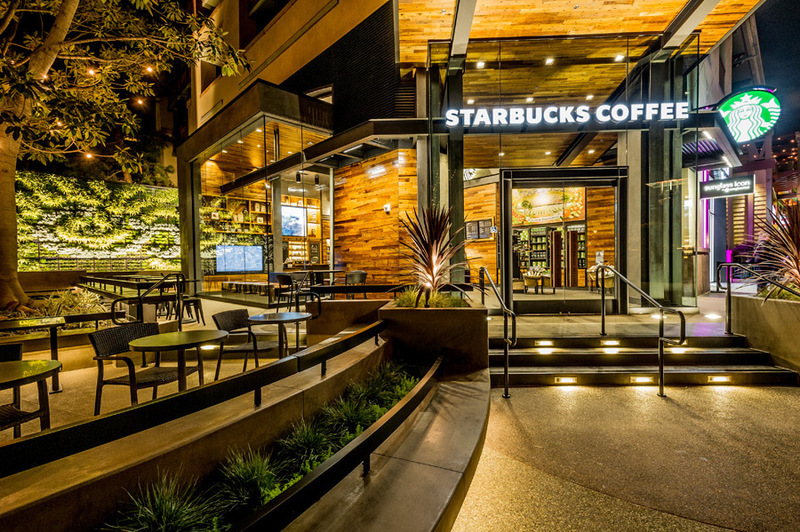 Moreover, Starbucks has been a great addition to the resort and can be found in Disneyland, Disney California Adventure Park, and the Downtown Disney District. The Starbucks by World of Disney is one the nicest locations you will ever come across with beautiful patio sitting and also offers one of the most exclusive coffee lines titled Starbucks Reserved. Additionally, the parks have several coffee carts where you can load up on caffeine. The Disneyland Resort is so much more than just fun for kids. Disneyland, Disney California Adventure Park, and the Downtown Disney District have a lot to offer to for adults who want to have fun, relax, shop, and enjoy some great food and beverages. Be sure to subscribe to our Disneyland deals newsletter for all of the latest information on deals and saving tips to help you save money and experience more! Sign up here. Also, check out some of these articles below to enhance your Disney experience! What hotel should I stay in at Disneyland? Previous Post: Everything at Pixar Fest 2018 at Disneyland!